Trained Za Koa User: Due to being born to a prominent noble demon family, as well as being considered a person of great potential, many resources were funneled into Death's training. Though not that strong himself, he has demonstrated the capabilities to produce complicated techniques using his Za Koa as well as manipulate and alter his terrain in various ways. However, as Death is not actually a fan of using many of his innate demon powers his Za Koa is not quite as on point as it used to be. Proficiency in Demon Magic: Death was always a bigger fan of learning about Demon Magic than Za Koa or Shadow Step during his days training in his home realm, enjoying the ability to do whatever he wanted with it including actually good actions. His skill with this power is nothing to scoff at as he's able to perform moderately high level full-fledged alchemy, manipulating his local environment to cast both offensive and defensive spells. Death is capable of turning even dirt and stone into actual weapons and shields with good durability, being equivalent to steel or better depending on how much energy he puts into the magic. His skill in this trait goes even further however as he can regularly create complicated strings of spells including multiple barriers in a row as well as seals and offensive techniques that, when used together, can result in significantly greater effects than if used separately. Akuma Kyodo: While Death is skilled in using abilities and techniques innate to him due to being a demon, his racial defense is not quite as strong. Having possessed a high level of regeneration since he was born, Death never felt the need to evolve or refine his Akuma Kyodo which means at the moment it's rather lacking in capability. Though he does still gain a noticeable resistance to the elements, including both great heat and freezing temperatures, as well as a general protection again things like bullets and man-made weaponry, the more advanced uses of this ability remain locked to Death. Skillful Shadow Movement User: Along with Demon magic and Za Koa Death was trained by some of the greatest teachers in the Demon realm in Shadow Movement. Instead of not carring about advancing the skill, as he did with Akuma Kyodo, or focusing heavily on learning about it, as he did with Demon Magic, Death took more of a middle ground approach with this skill. This ended up resulting in him being a capable user of Shadow Movement, being able to keep up with many people's flash step or sonido, but usually not possessing the ability to out-speed or out-dash many of those around him. However, thanks to his proficiency in Demon Magic Death is able to combine the two skills reasonably well and give himself various speed boosts depending on what's needed at the time. Quick Fighter: Death is a rather speedy combatant, being capable of keeping up with many people he's come into contact with. In the span of seconds he was able to cross the entire length of his family's complex, which is the size of multiple football fields from the main mansion to the exit gate. In battle he's able to react to and dodge bullets from human-made guns as well as block incoming attacks from his enemies whether they be ranged or melee. Death is also extremely agile in general, able to jump impossible distances, make even the most skillful Parkour specialists jealous, and perform incredible dips dives and ducks in a combat situation. During his time in the Demon world, he regularly impressed his various teachers and mentors with how quickly he could move around and with the grace in which he did so. Physical Strength: While "strong" is not necessarily the best descriptive word for Death, he is still easily capable of denting and cutting through various metals. When he was escaping his family's compound, Death used brute force to break a lock keeping a side gate closed with little issue. In combat, if he's able to land multiple direct blows on an equal or worse opponent they'd likely sustain pretty significant damage. However, in direct clashes he is unlikely to overpower many people he comes into contact with. Skilled Swordsman: Having spent the vast majority of his weapon training with a sword, Death has become quite capable with it. Not having access to a sword actually decreases his combat abilities by quite a bit as his hand to hand skills are sub par in comparison. 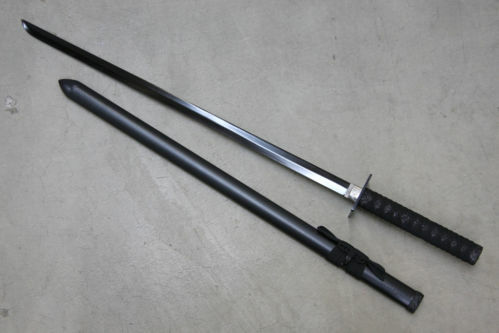 One of the tests Death had to undertake while in training was fighting up to eight opponents at once with a weapon of his choosing, and he chose the sword because he knew he could (and actually did) take them on at the same time with it. Though a big fan of using his various magicks in combat, against most opponents his go-to style will involve his sword. Being able to parry reflexively and switch between offensive and defensive stances on the fly puts him heads and shoulders above most people around him. 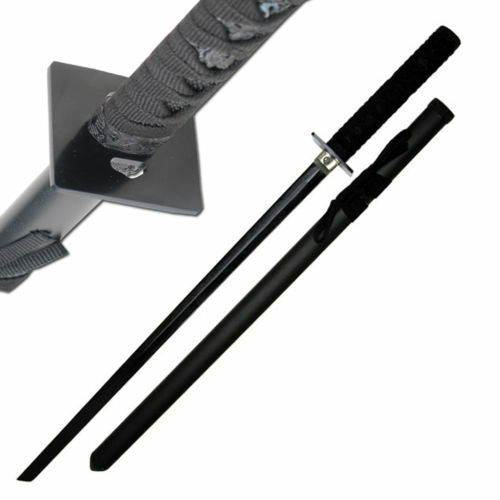 Death's preferred way of fighting involves one katana and using his agility to wait for his opponent to mess up, and then counter striking with quick lunges and strikes to major arteries. End: As his name and Origin suggest, Death's power has to do with the end of life. His abilities involve controlling death to fight as well as his own life. No being is above or below this power, it being absolute in nature. What this amounts to is no matter a character's immunities or powers, they are susceptible to what this Origin is capable of. Ants, flowers, the Soul King and even Touketsu are all vulnerable to Death's Origin abilities. While it is possible to defend from him, no being can actually be immune to End. Despite this, End actually isn't all that strong, at least not yet. There are only a few current uses for End, none of which are all that dangerous to opponents of almost any caliber. While it does have the potential to grow into something formidable, at the moment his power related to this Origin is reasonably mediocre. Death Defiance: Despite being the representation of death itself, Death possesses an ability that actually goes against his Origin. This is due to undeath being a significant part of his powers, including in relation to his own self. Death Defiance is, when simplified, a form of high-speed regeneration that outclasses almost all others. This is due to it requiring almost no energy whatsoever to use repeatedly over and over again. Basically, when Death takes significant damage, loses a limb, suffers from internal bleeding, or whatever else might happen to him during battle he can near-instantly recover from it. This applies to all forms of injuries, including and up to severe organ damage without exception and total amputation. Even destroying him completely and totally down to every last atom cannot prevent Death from recovering and reforming. Also, even the most severe injuries (including, as stated before, total destruction) are rapidly recovered from over the course of just a few seconds depending on the extent of said injuries. Death Defiance exceeds even the most powerful of Arrancar regeneration in capability, showing exactly how strong this ability is. When Death Defiance regenerates any part of Death, it creates a black semi-solid sludge-like substance that quickly takes the form of whatever was damaged or destroyed. This substance cannot be manipulated, stopped, or altered by any force or being. It should also be pointed out Death Defiance cannot be stopped or negated by any outside force including abilities that specifically negate or bypass supernatural powers. This is all-encompassing and due to this power also not capable of being copied or absorbed, Death will always have access to Death Defiance. Due to all of these reasons, this is perhaps the single most powerful aspect of Death's Origin even though it isn't the main power given to him from it. Though not a very strong fighter, this ability alone makes Death frightening to deal with in combat. Like all truly powerful abilities, Death Defiance has horrendously significant negative consequences to overuse. After repeated uses of Death Defiance, especially if used to recover from more severe injuries, Death's pain threshold lowers over time. This is called Reaper's Sickness. When Death recovers from damage, a small bit of him is afflicted with Reaper's Sickness and when multiple small bits of him all have it, they "connect" and dramatically increase the amount of pained caused by all future injuries until he has a chance to calm down and relax. Large chunks of Reaper's Sickness are worse than the sum of their parts, meaning the pain increase starts out small and increases faster as it worsens until he reaches the point where he's even driven madder and madder by the pain. This causes him to not only lose control of himself, but also his powers and mental capacity. Reaper's Sickness can only be cured by either ending whatever thread he's in or if he is given at least five posting rounds to calm down. Note: Eternal Partners are optional and can remove them if you don't need them. The same applies to Rilīja. However, the Conceptual World is generally needed. Additionally, remove this note when making your character. Black Butterfly: This ability shares it's name with Death's Atma Vatou. Note: THIS IS ONLY FOR DANAVA WHO HAVE MORE THEN ONE ORIGIN! IF YOU DO NOT HAVE ONE? THEN JUST REMOVE THIS ENTIRE SECTION!